Much of Bhat-Bhateni’s success can be subscribed to the founders’, Mr. Min B. Gurung and family, vision for continuous improvements and growth in order to support local development with current employment of over 4,500 staff, including several from families of political martyrs and indigenous people. The commitment to give back to the local community is underlined by the funding of the entire emergency wing of the Teaching Hospital in Maharajgunj currently under construction. Mr. Min B. Gurung and family also donated money, clothes, food, cooking utensils and blankets to the Dubhekol (1995) and Sungdel (2003), Khotang flood victims. An ambulance has also recently been donated to Tamu Boudha Sewa Samittee and the company funded the construction of primary school in Khotang village. Furthermore, Bhat-Bhateni has funded construction of Ganesh Temple (Khotang), Sai Centre (Narayan Chaur) and Shiva Temple (Haridwar, India) and constructed the green parks in Maharajgunj, Baluwatar and Koteswor. Min Bahadur Gurung constructed a new emergency wing at Teaching Hospital, Maharajgung by investing Rs. 100 million in memory of his father Brisha Bahadur Gurung and mother Dhan Maya Gurung. Honourable President Dr. Ram Baran Yadav had inaugurated the building on 18 September 2011. Apart from this , the Bhatbhateni Group as part of its Corporate Social Responsibility (CSR) has provided scholarships to two students each year from the remote districts of Nepal for five-year long MBBS programmes at a leading medical college in the name of Min Bahadur Gurung and his wife Sabitri Gurung. Since June 2009, Bhat-Bhateni has been promoting the Just Say No to Plastic Bags campaign along with Kathmandu University and Nagarik & República. Customers wishing to use plastic bags will be charged Rs. 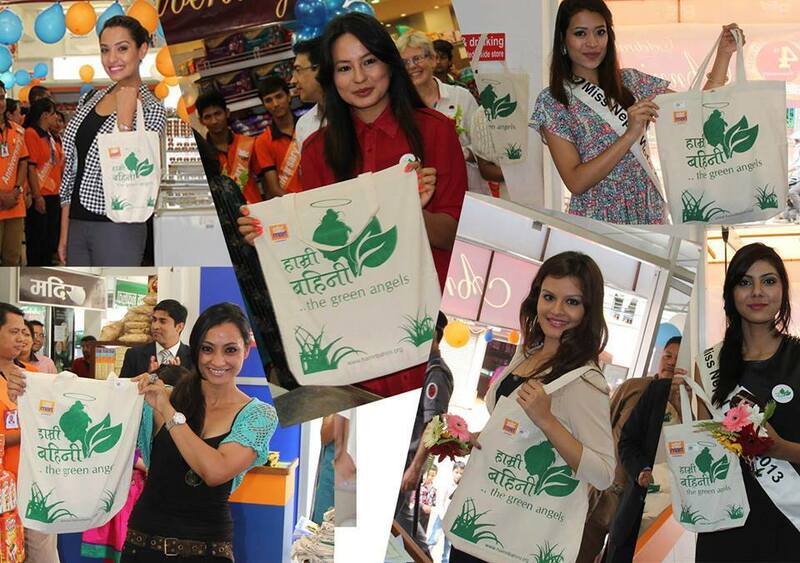 1 per bag while the environment friendly bag will be available for Rs. 20. The proceeds will contribute towards improving the environment. Students from both St. Xavier School and Ideal English Higher Secondary School have been participating in this campaign.